Enovation Controls leads the industry for engine and equipment protection and monitoring in the Industrial, Off-Highway and Recreational Vehicle markets. 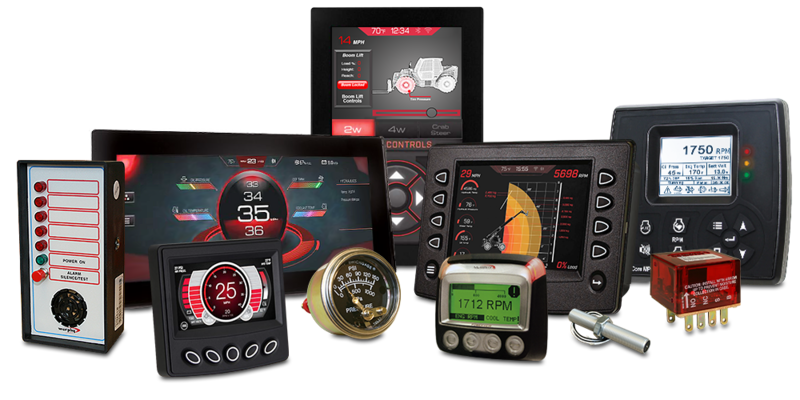 Our complete line of Murphy display, control and instrumentation solutions coupled with our extensive application experience allows us to provide customers with a complete solution approach for their engine and equipment control, protection and monitoring needs. Murphy offers hundreds of products that monitor and control pumps, generators, and more. 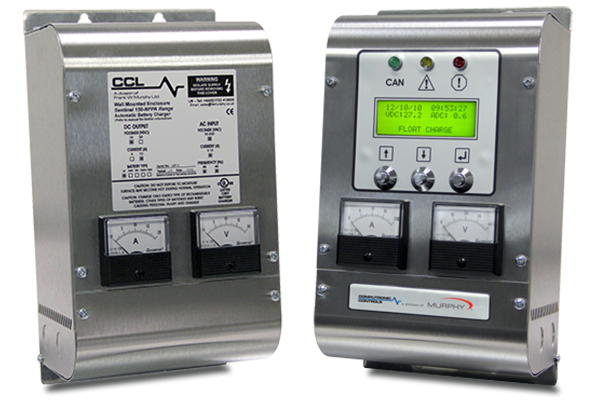 Our control systems for industrial operations monitor pressure, temperature, liquid level, overspeed, time and vibration. We cover it all, from simple start/stop operation to sophisticated automation systems incorporating micro-controllers and remote communications.We provide cost-effective, perfectly suited products for our customers, and have been doing it for over 70 years. 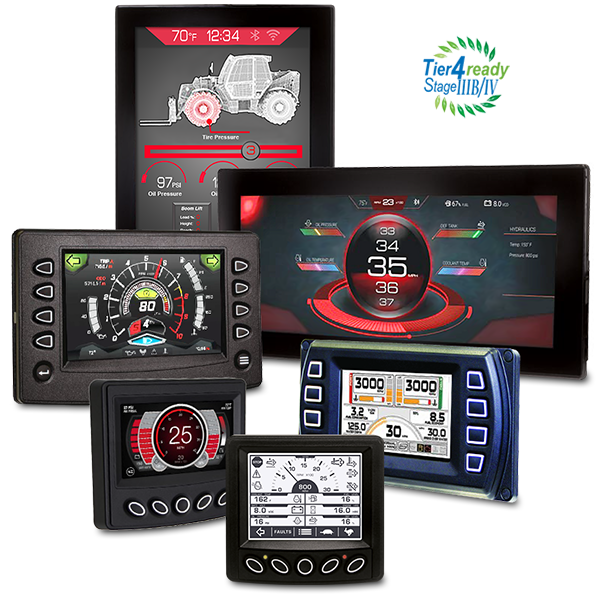 The PowerView® Family of J1939 CAN-based displays combine engine, transmission and diagnostic information into an easy to read operator interface. Equipment functionality can be further integrated through the available I/O and controlled via the CANbus. PowerView™ displays have become the standard for real-time equipment monitoring and diagnostics. Learn more. Murphy’s PowerCore® TEC-10 panel provides full control of your engine including auto start/stop, auto throttling and display of both engine parameters and critical faults from the engine/application. The TEC-10 supports SAE J1939 CAN protocols for electronically governed engines as well as analog sensors on mechanical engines for fault and safety warnings/shutdowns. Learn more. 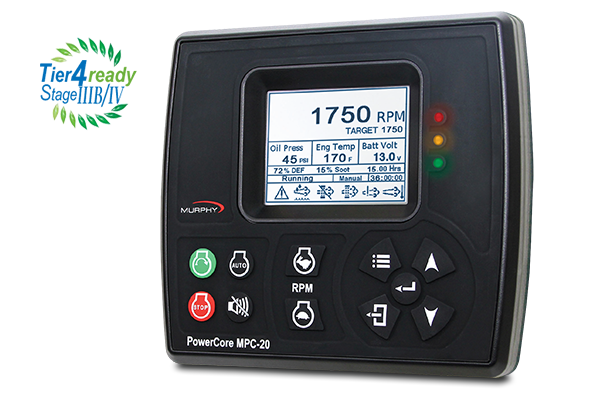 The new PowerCore® MPC-20 is an all-purpose industrial controller targeted for engine-driven pump and irrigation applications. This versatile, configurable, "Tier-4-Ready" controller allows customized settings for unique customer specific applications. Also available in a polycarbonate or metal enclosure. Learn more. 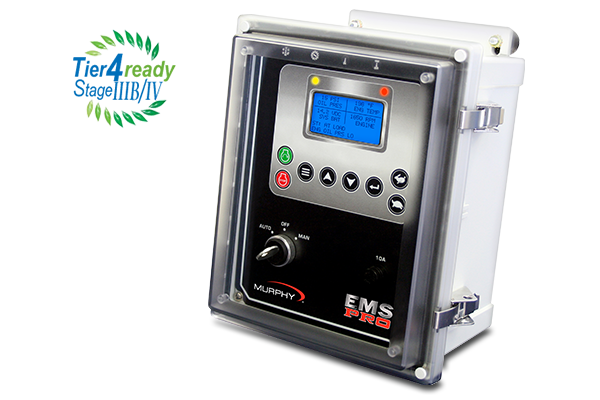 The EMS Pro is a rugged, all-in-one industrial single engine controller designed to meet the needs of engine-driven pumping applications. It's designed for use across multiple engine lines, both mechanical and J1939 electronic. Easy to install, easy to learn and easy to use. Learn more. Murphy’s new Sentinel chargers keep your gensets running with high-quality construction, controlled charge currents, temperature compensation and clean output. The Sentinel 150 Series, as well as the Sentinel 300P Series have a wide range of input AC voltages and operational frequencies. Learn more. 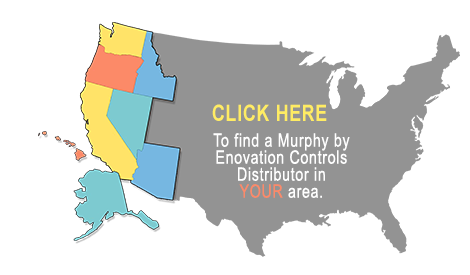 MurCal is proud to be a Murphy by Enovation Controls Master Distributor. We are responsible for the six western contiguous States plus Alaska and Hawaii. If you click here, or anywhere on the map shown to the right, you'll be linked to our regional Murphy by Enovation Controls resellers. 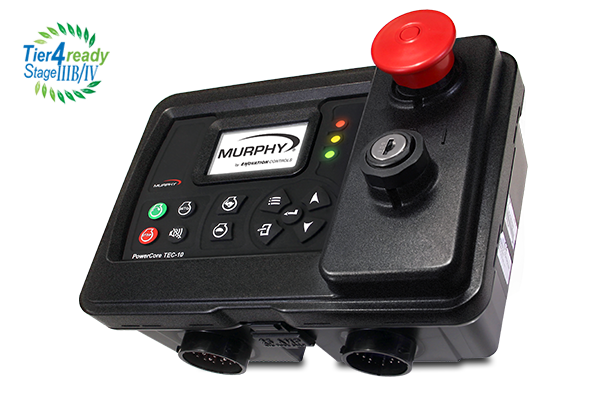 Do You Need The New Murphy by Enovation Controls Catalog? 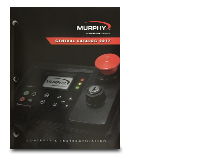 The 2017 Controls & Instrumentation General Catalog is now available. Contact our inside sales department if you would like a catalog sent to you. To view Murphy by Enovation Controls online digital catalog, click here.